Baltimore's own SONiA returns to The Marc Steiner Show to play some new songs and talk about her music. She just released a new album, with her band disappear fear, called Blood, Bones & Baltimore. Baltimore’s own SONiA returns to The Marc Steiner Show to play some new songs and talk about her music. 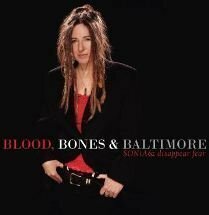 She just released a new album, with her band disappear fear, called Blood, Bones & Baltimore.